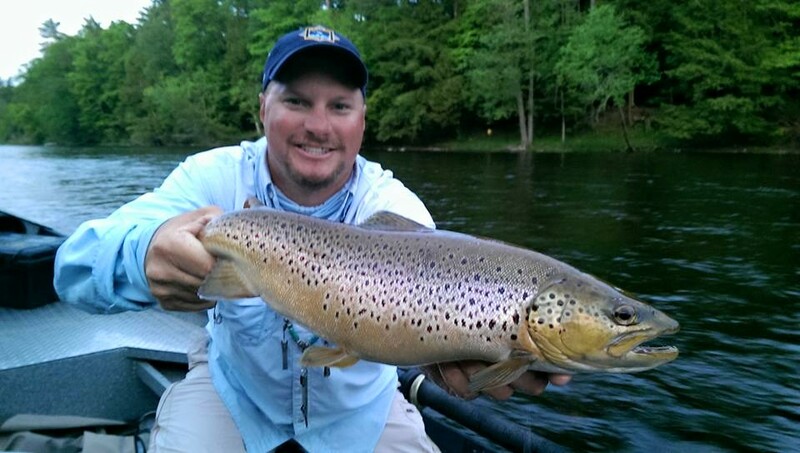 Jake with a gorgeous White River Brown Trout. 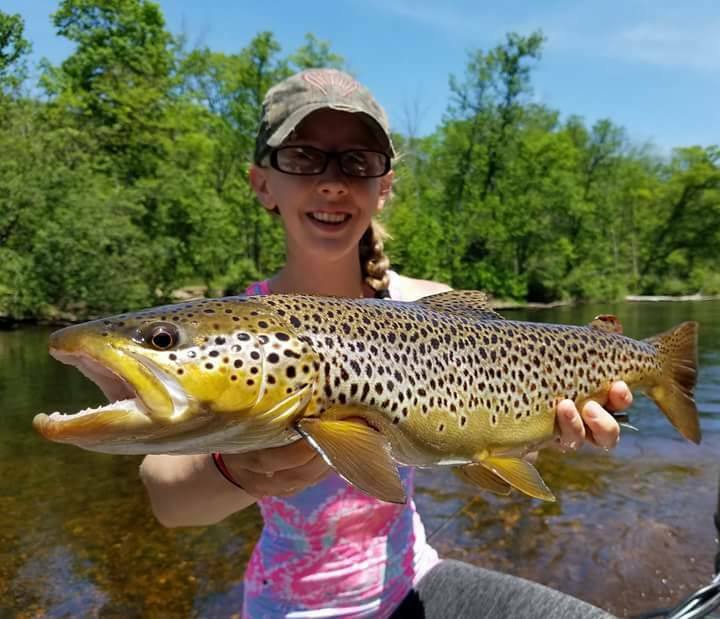 Great Trout Fishing! 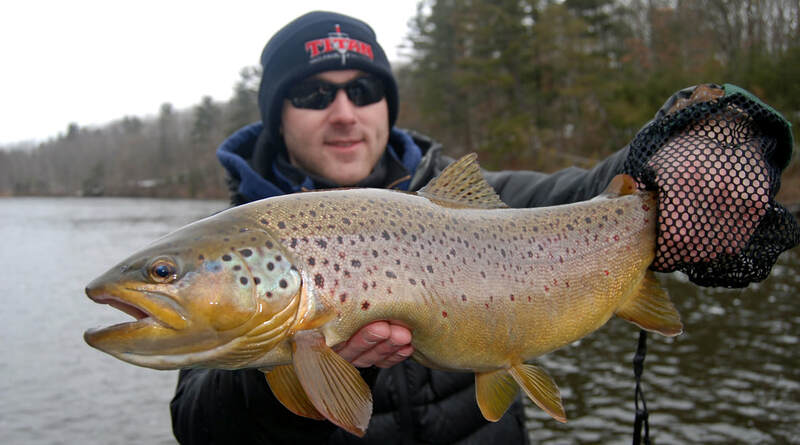 White River Fly Fishing Guides – The White River in Arkansas offers world class trout fishing during the winter months. 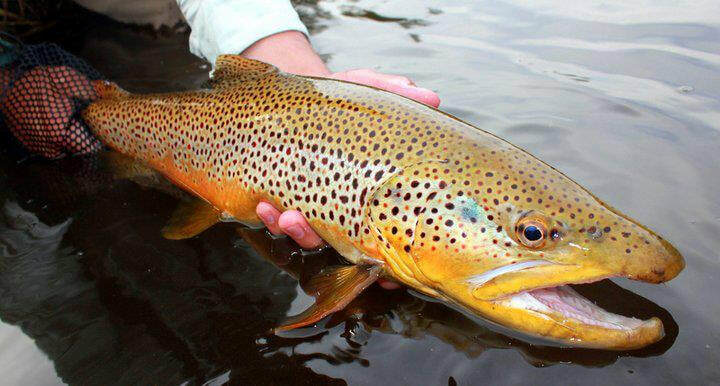 We now offer guided trout fishing trips on the White River in Arkansas during January, February, and March. Much more temperate than Michigan, mild winters, the White River below Bull Shoals Dam near Cotter. 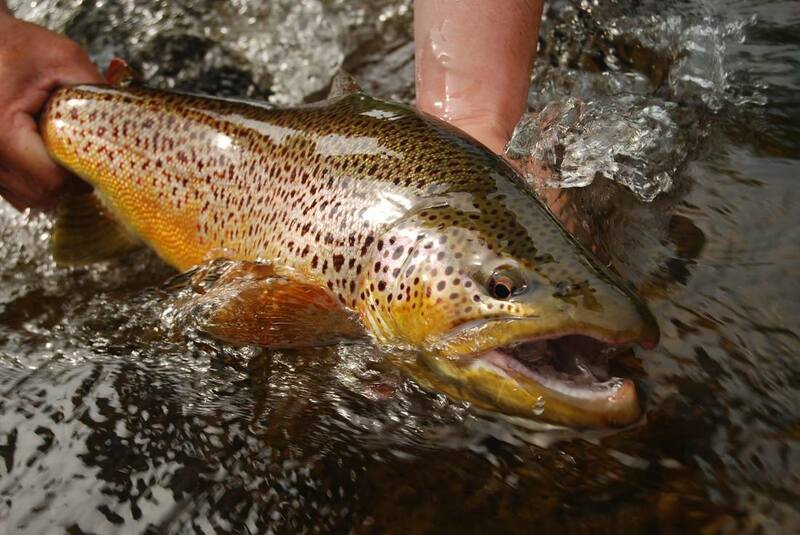 Arkansas offers some of the best fly fishing! 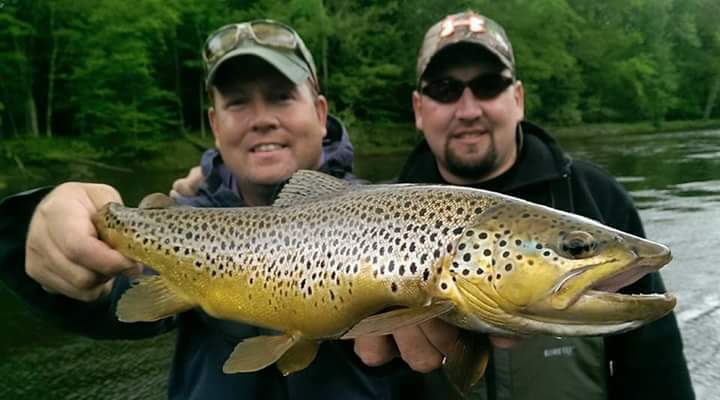 Both trophy Brown trout and limits of Rainbow Trout, the White River is absolutely a trout factory! 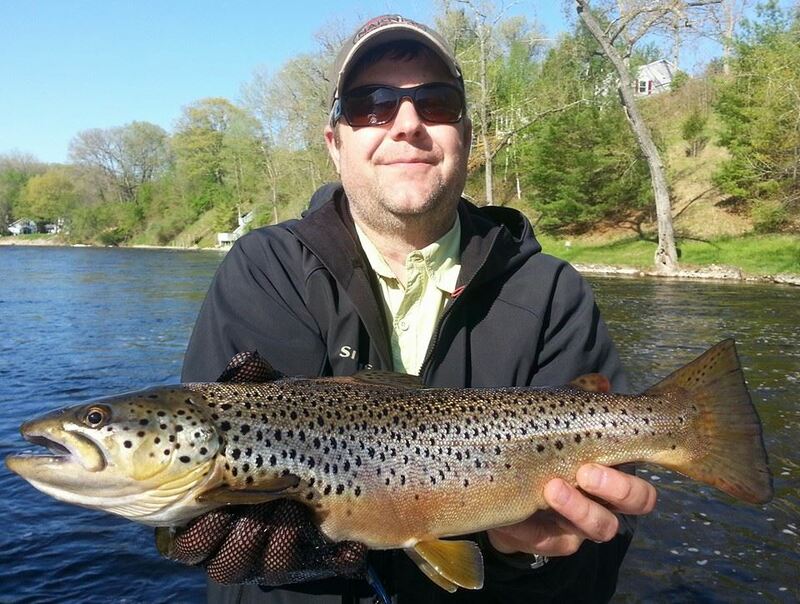 Warm temperatures, this river has incredible, world class fly fishing for trout. 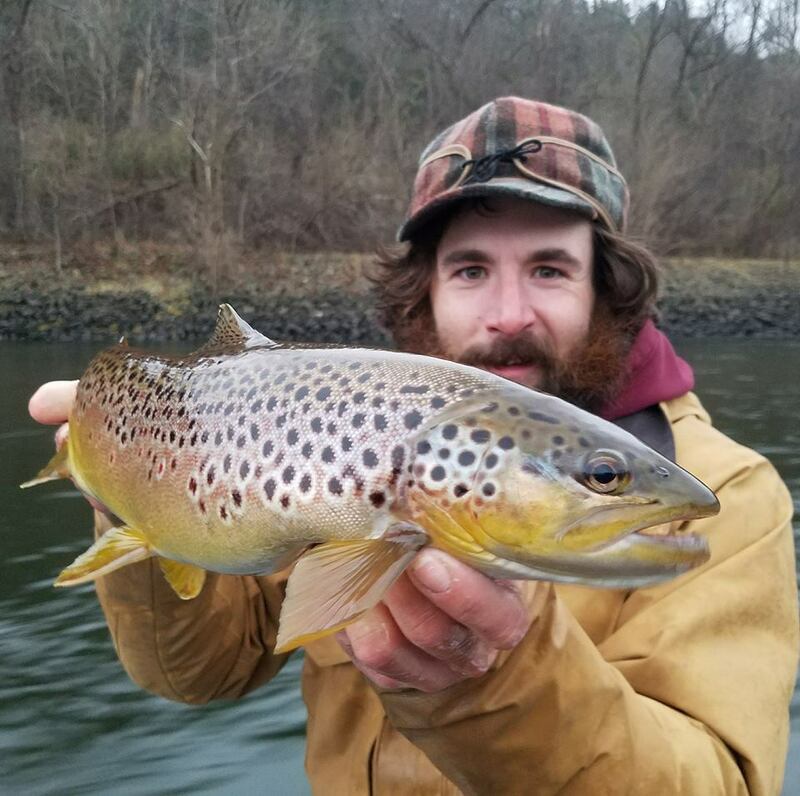 Trophy Brown Trout, Rainbow Trout, Brook Trout, and Cutthroat Trout are all stocked below Bull Shoals dam in Flippin, Arkansas.1.5 Million trout stocked annually. 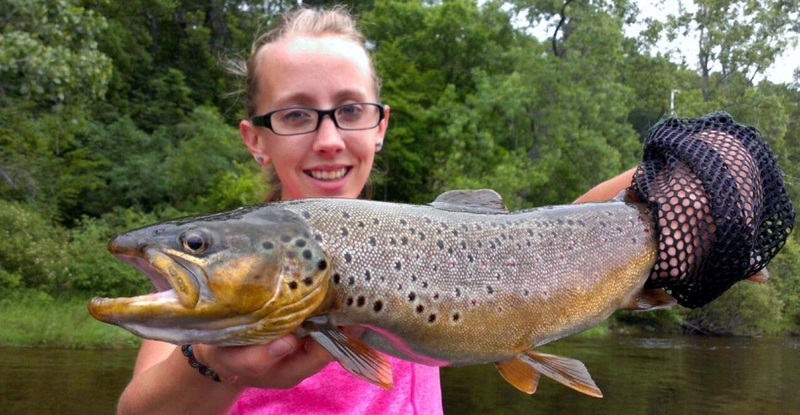 The White River offers incredible streamer fishing for trophy Brown Trout. 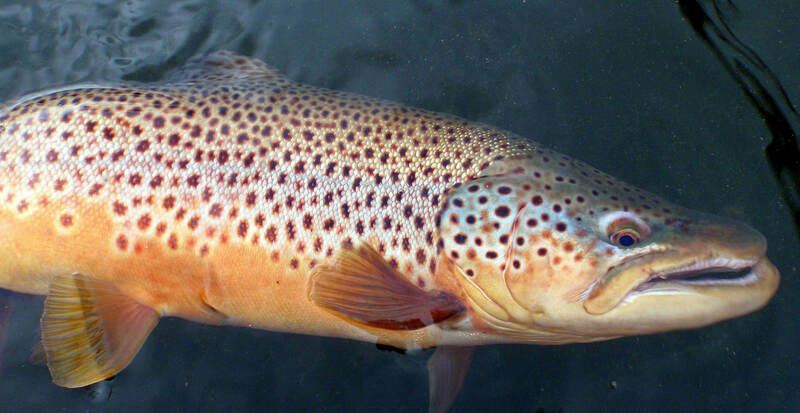 In the late 90’s the White River (Little Red River) held the World Record Brown Trout. This river holds some really big trout. Steamer flies are the key – Big fish eat big flies! Sometime during January or February, the Bull Shoals Dam and the river below the dam receives and incredible food source, the Shad kill or Shad die off. Shad get sucked through the turbines at the Bulls Shoals dam. Disoriented and stunned, these Shad become an incredible food source for big trout. These fish gorge on these crippled Shad and make for phenomenal catch rates. 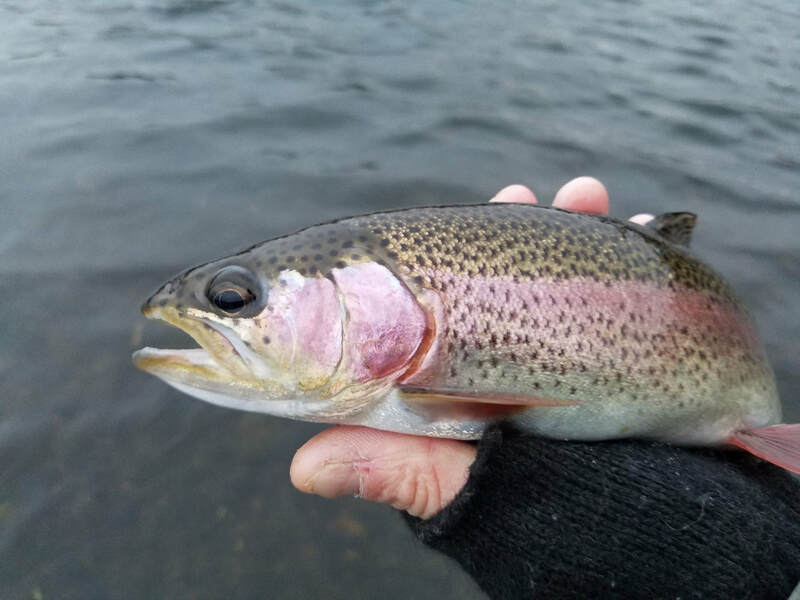 Anything white, whether is big white streamers, marabou jigs, pearl colored jerkbaits, or live shad- White River Trout absolutely love to eat Shad. During the Winter months, Shad offer the mainstay of trout food during the colder months. 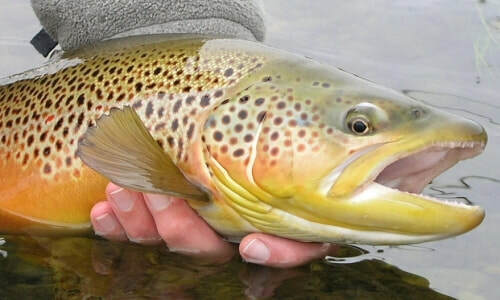 Making for great trout fishing of Rainbow and Brown Trout. Brook Trout and Cutthroat are also caught regularly using this method of drifting live shad or shiner minnows.